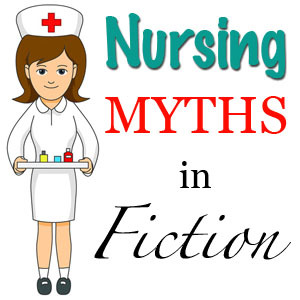 This article on nursing misconceptions for writers is part of the Science in Sci-fi, Fact in Fantasy blog series. 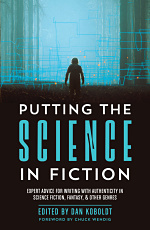 Each week, we tackle one of the scientific or technological concepts pervasive in sci-fi (space travel, genetic engineering, artificial intelligence, etc.) with input from an expert. 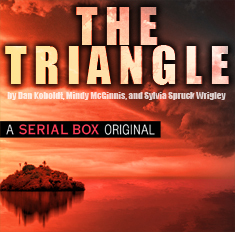 Please join the mailing list to be notified every time new content is posted. Pointing out the misrepresentation of nurses and of the nursing profession in TV shows isn’t just about setting the record straight. It’s about giving back the credit nurses are due and preventing their false representation from dissuading viewers to trust nurses and/or to want to become one. The distance between the core role of nurses in the medical system versus the dismissed placeholder they are defined as in TV shows deserves to be pointed out because fiction does mold people’s mind and opinions about the nursing profession to a certain extent. A nurse’s scope of practice is defined by each state’s board of nursing and follows a specific level of education and licensure requirement. Nurses can work in a variety of environment from the acute care setting to the long-term setting, from E.R., to ICU to Physical Rehabilitation. A licensed practical nurse may have a certificate or an associate’s degree. They perform a variety of tasks under the supervision of a Registered Nurse. Certain skills are not included in their scope of practice (i.e. administering intravenous injections, drawing blood from certain lines…etc.) They are very present in long-term care facilities and doctor’s office. A registered nurse usually has an associate’s or bachelor’s degree. Both degree paths take the same licensure exam. They are expected to apply critical thinking to their practice and delegate when appropriate to L.P.N. or Nursing Assistants. R.N.s have access to management and research roles. Several career paths are included under this category, all of which require post-graduate studies. They are educated at a Master’s or PhD level in a specific patient population and/or role. Clinical Nurse Specialist (CNS), Certified Nurse Anesthetist (CRNA), Certified Nurse Practitioner (CNP), Certified Nurse Midwife (CNM) are the main types of APRNs. They are considered R.N. with an advanced license allowing them to perform many roles under the supervision of a physician but with a certain degree of autonomy. Diagnosing, treatment plans, medications..etc. are all under their control unlike for LPNs and RNs whose scope of practice is more limited. Although the cap is one of the most recognized nursing symbol, it is no longer being worn. Some of the earliest nursing schools were managed by nuns and in a time where women wore head coverings everywhere, it is not farfetched to deduce religion and time period created the “standard” nursing uniform to include a cap. It was a way to neatly tie nurses’ hair back and cover it for sanitary purposes (in the early days when caps covered the entirety of a nurses’ hair). Slowly caps became smaller and smaller as time changed and as covering a woman’s hair was no longer standard. Styles varied based on nursing schools and medical facility but also according to rank and role. Cap wearing slowly dwindled down until completely disappearing in the 80’s. It was no longer considered practical or sanitary and is no longer worn. Much like the cap, anybody who has been in a medical facility recently can attest the traditional nurse dress has disappeared. This seems to have happened in parallel with the cap’s disappearance in the late 1980’s. It’s not to say nobody wears it, but it is an outlier. Scrub top and pants are the new standard paired with a light scrub jacket if needed. Starting in the 1960’s, white was called out as the color of subservience and dependence by feminist and it was fazed out with the cap and dress in the 1980’s. The influx of male nurses also motivated that change. A lot of nursing school still require their students to have white uniforms, probably as a callback to tradition. While most hospitals will allow nurses to wear white, usually another scrub color is also accepted. Beyond the basics of nurses’ appearance however, their role at the bedside deserves to be set straight. The main category present and as thus misrepresented in fiction is the bedside R.N. More often than not, that misrepresentation of nurses goes hand in hand with the faulty depiction of the physician-nurse relationship. It is important to note that to this day, nurses are the largest group of healthcare workers providing direct patient care – that means nurses are the ones primarily touching patients and providing the physical care. However, anybody having watched medical shows such as ER, House or Grey’s Anatomy could probably count on one hand the instances a nurse was present on screen and/or doing anything meaningful. In parallel with the pure lack of representation, nurses’ duties are often depicted as being performed by physicians. Physicians have their own set of skills and expertise. They have the keys roles of diagnosing, figuring out treatment plans and performing surgeries among other things. A few of their duties overlap with nursing duties (i.e. physical assessment) but a lot of medical TV shows portray them as fulfilling the nursing role as well their physician role. Bedside nurses are responsible for physical assessments, administering medications (except for a rare few such as anesthesia medications), inserting peripheral intravenous lines, monitoring arterial lines, performing vital signs, inserting nasogastric tubes and catheters, blood draws, administering blood products, performing complex wound care dressings, administering tube feedings, coordinating tests, admission and discharges, handling machinery such as IV pumps, ventilators, cardiac monitors, defibrillator…etc. While nursing duties are wrongly assigned to physicians, other stereotypical roles are attributed to nurses. Nurses are usually depicted in medical shows behind the nurses’ station, at a computer, filling out paperwork or walking down the hall with a clipboard. While part of the job is charting in patients’ medical records that is definitely not the bulk or most important duties nurses are responsible for. Nurses choose their profession because of their desire to interact with patients in times of needs and the call to be right there helping them navigate a difficult diagnosis. They can’t do that behind a desk. Most of their time is spent in patients’ rooms. It is also worthy to note that with the rise of Electronic Medical Records (EMR), paper charts usage is being weaned off. Medical shows will portray nurse-doctor romantic relationships. In addition to objectictifying nurses, it totally disregards the oath nurses (as well as doctors) took as medical professionals. A nurse/doctor’s focus is on their patients, not on finding a closet to become intimate with another member of their team. Patients can decompensate very quickly which can be also very subtle. The nurse who has assessed her patient at the beginning of her shift, know the baseline condition of her patients and checks regularly on the effects of the various treatment implemented is the one that will catch when a patient’s condition changes and deteriorates. Nurses are meant to be in patients’ rooms on a consistent and attentive basis given the fluid state patients are under while under their care. Unlike depicted by some shows, physicians do not have power over nurses, they cannot fire or hire them. Nursing has its own code of ethics, licensure and governing bodies, totally independent of physicians’. Nurses follow policies and protocols set by senior nursing officers and are managed independently of physicians. Critical thinking is the most important skill taught in nursing school. Practical skills can be taught and practiced but critical thinking is what is necessary to know when to implement said skills. As nurses perform care, they are autonomously assessing the effects of that care on their patient. The scope of their license allows them to wield independently some of the care they give. When ten new doctor’s orders are placed all at once, nurses make the decision what to implement first. When four different patients call them with four different requests, they decide which patient to see first and which issue needs to be prioritized. Physicians and nurses are part of a team attempting to treat and save people. Respecting each other’s scope of practice, skills and expertise is what makes an effective team. While physicians will give “doctor’s orders” / directives to be implemented, nurses independently perform those skills. They critically think about the indications of those orders and monitor the outcomes post-intervention. They make suggestions to personalize the care of their patients and are the last line of defense against a medical error. Medical TV shows not only depicts nurses in a negative and inaccurate light, but they foster a climate of distrust and unnecessary hierarchy between nurses and other medical professionals. It misleads the viewer and sets certain expectations that will prove blindsiding if any of those viewers are ever admitted in a hospital. The realistic depiction of nurses will help you craft authentic medical scenarios that will give justice to the hard working men and women​ in this profession (~3 million nurses in the US alone. ).